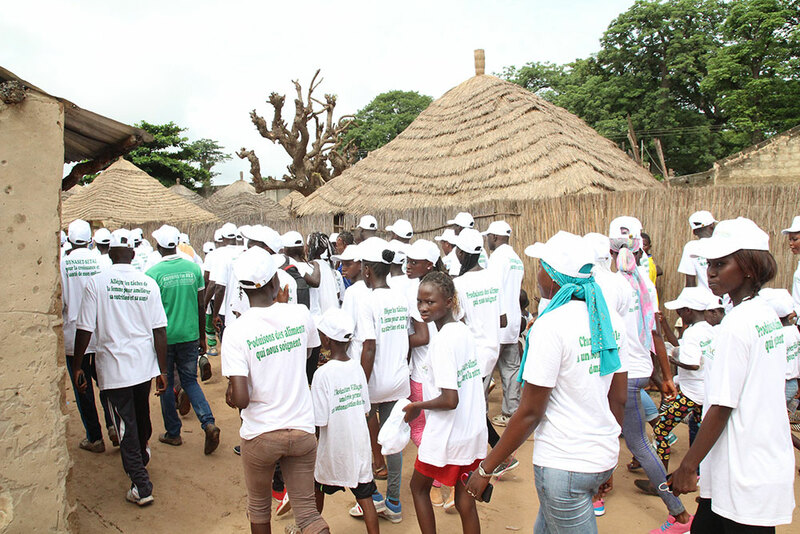 On August 9, 2017, SPRING/Senegal and partner radio station Niombato FM organized a promotional hike in Toubacouta Village. 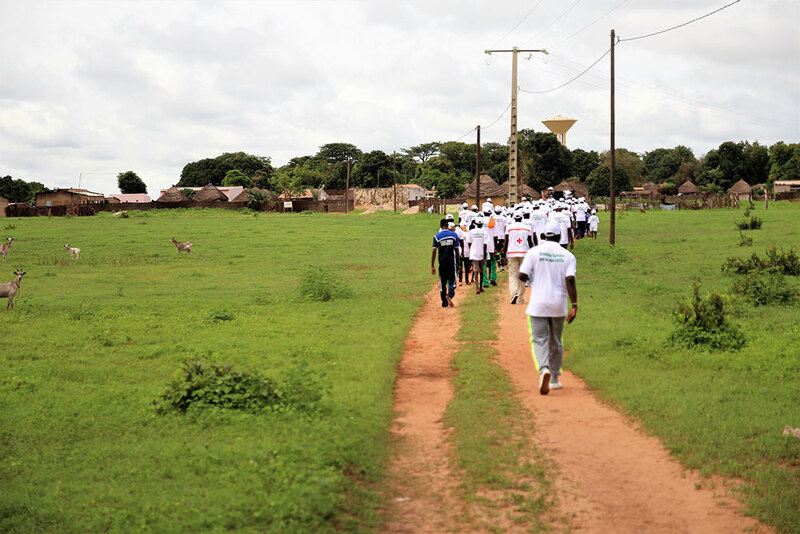 Over 100 hikers marched a total of 5 miles, wearing t-shirts bearing messages on nutrition, agriculture, gender, and hygiene. 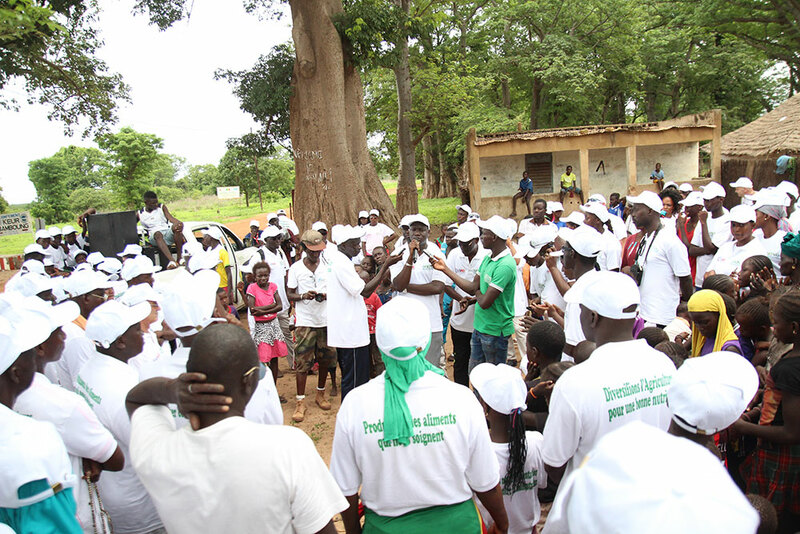 Participants passed through three villages and shared information with villagers. The messages were also recorded and broadcast on all of six of SPRING’s partner radio stations. 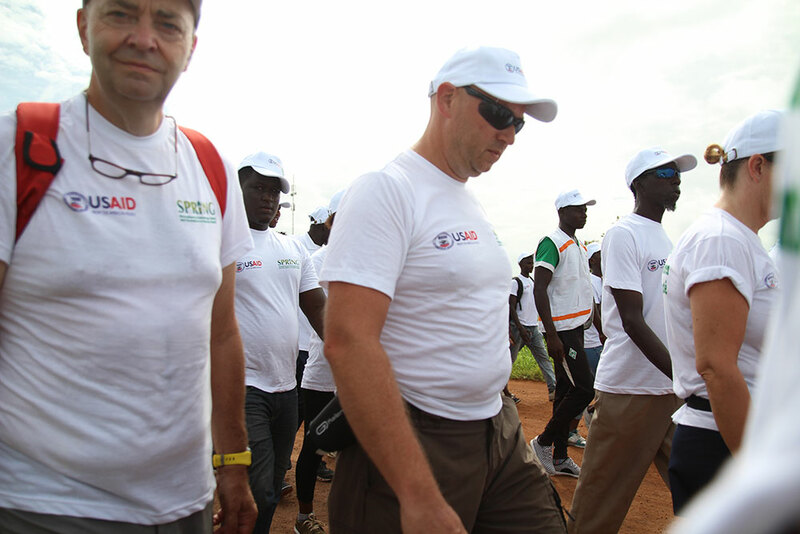 SPRING/Senegal Chief of Party Bob de Wolfe participated in the hike. 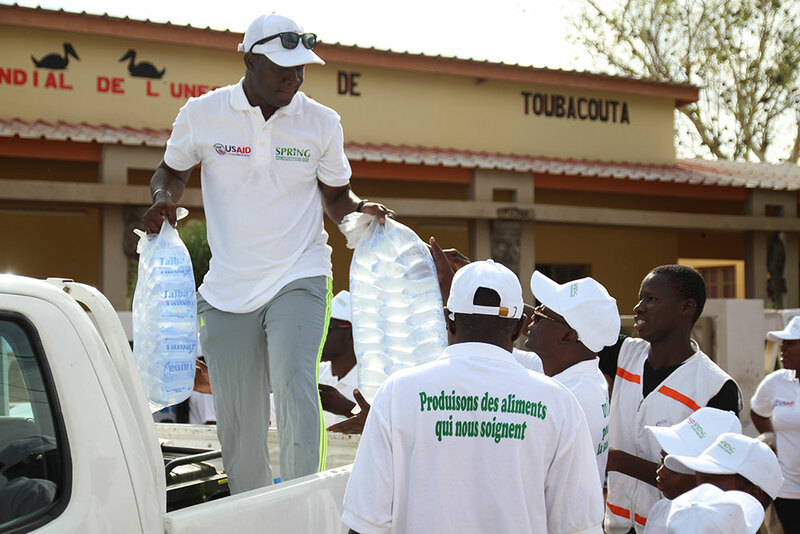 SPRING/Senegal SBCC Advisor Albert Boubane distributes water to participants before the hike. 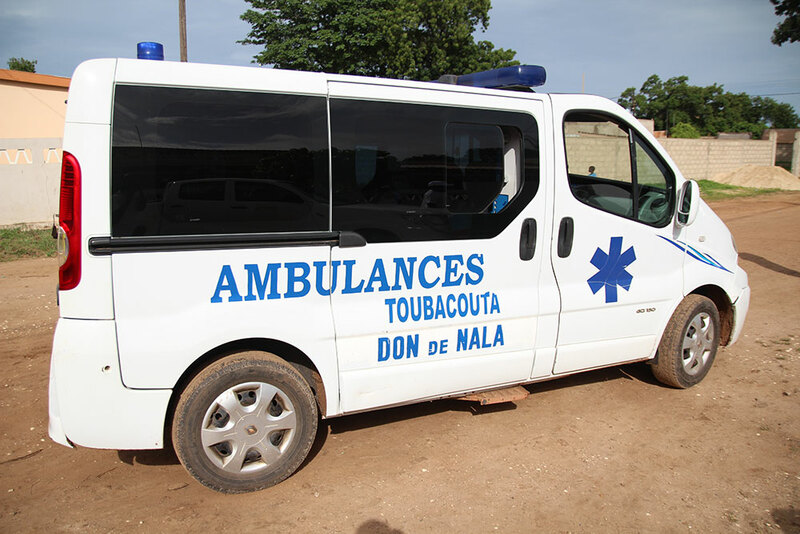 Some tourists vacationing in Toubacouta heard about the hike and decided to participate. 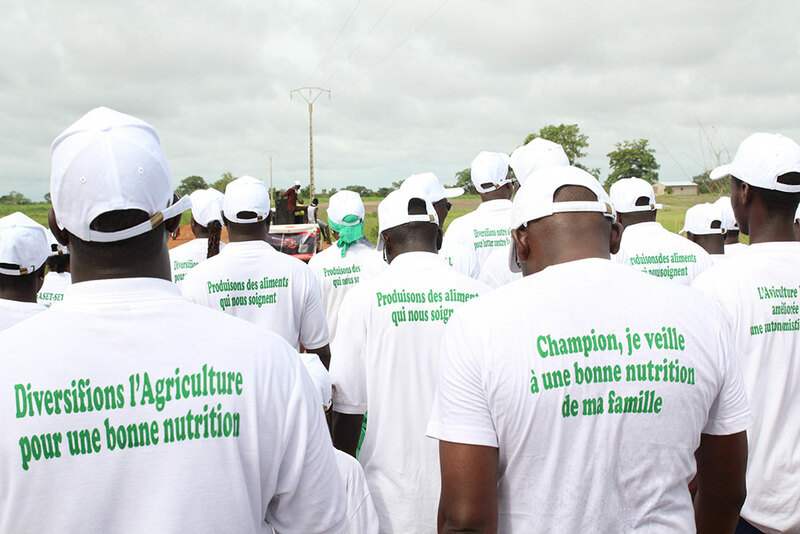 Hikers wore SPRING t-shirts containing different messages related to nutrition, agriculture, gender, and hygiene. The path of the hike went through three villages. Participants stopped in each to share messages with residents. Community members gather around to listen to the nutrition-sensitive and nutrition-specific messages. The 8km (5 mile) hike passed through some scenic spots. An ambulance and medics were on hand to attend to any emergencies.